I want to extend a warm and heart felt Happy Thanksgiving to everyone one of you! I hope you spend time with those who mean the most to you: family and friends. I didn't get a chance to create a new Thanksgiving card this year. But, here is one of my favorites from a few years ago. This card actually went with a magnetic message board I had made. 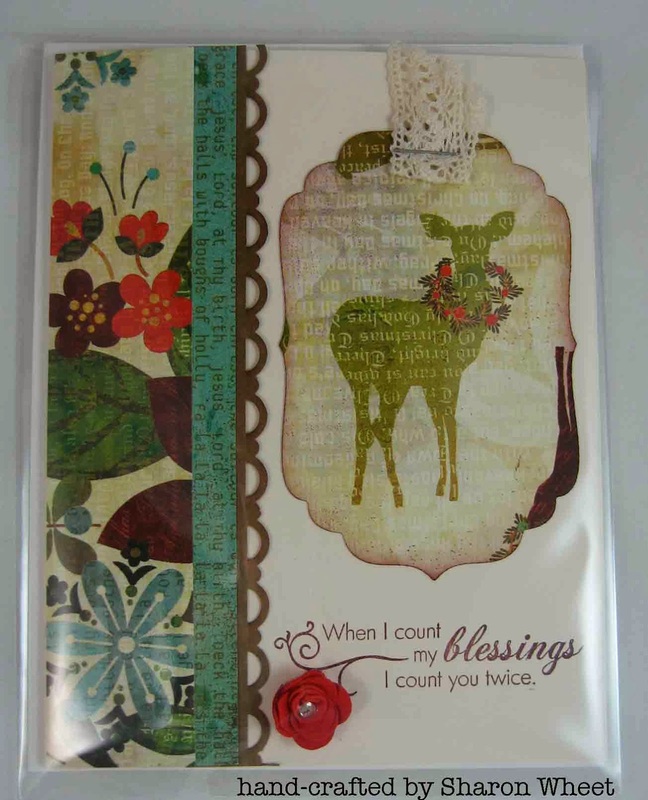 I love the lay-out, the festive holiday paper, and that adorable deer! The sentiment is from Paper Trey Ink. I just love the words!
. . . little things . . .
'N' is for . . .